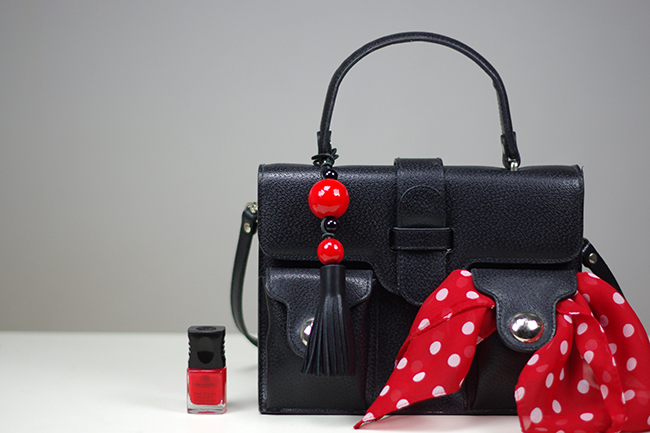 Want you bag to match your nails? Easy-peasy! And this tutorial shows you how. Not exactly you say? 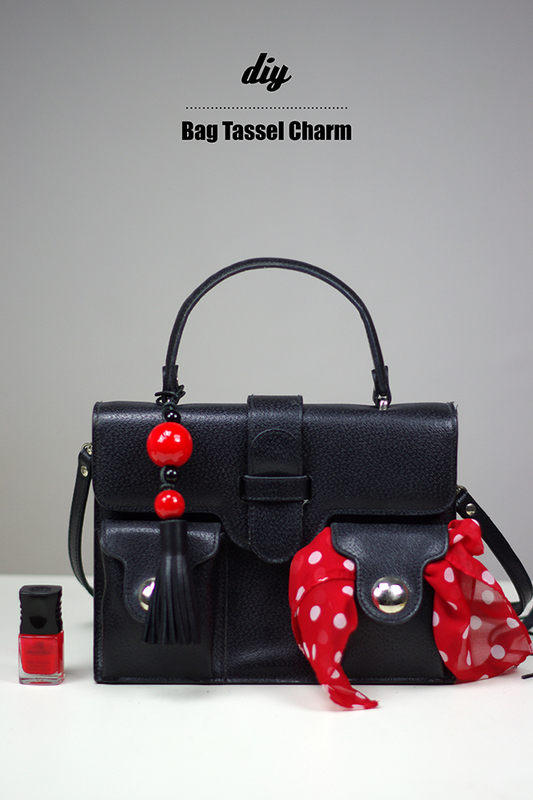 I say close enough to make every one to fall in love with your “new” (updated) bag and the matching nail polish. But the idea of using a nail polish as paint for wooden beads isn’t just fashionably awesome, it is also very practical and very thrifty. To get beautiful beads in that size is nearly impossible. 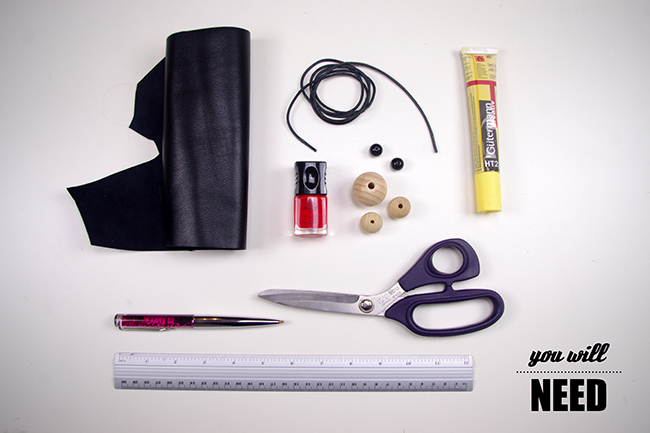 And if you DO – the prize will smash your little DIY heart! Natural wooden beads are available in diverse sizes in crafting stores for 15-50 cents each. Plus they are lighter than the PVC ones and have a beautiful structure, that you will see even through the color. 1. 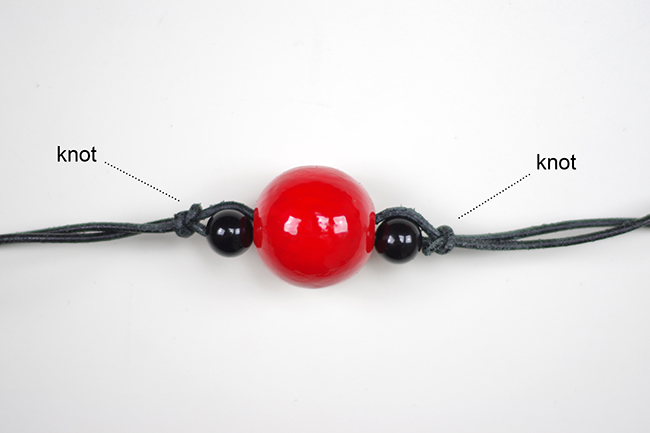 Paint the wooden beads with the nail polish. Don’t skimp on the quality. You want your charm to look sophisticated, so take the one you usually use for dates. Apply 3 layers of the nail polish plus one layer of the top coat. Better safe than sorry! 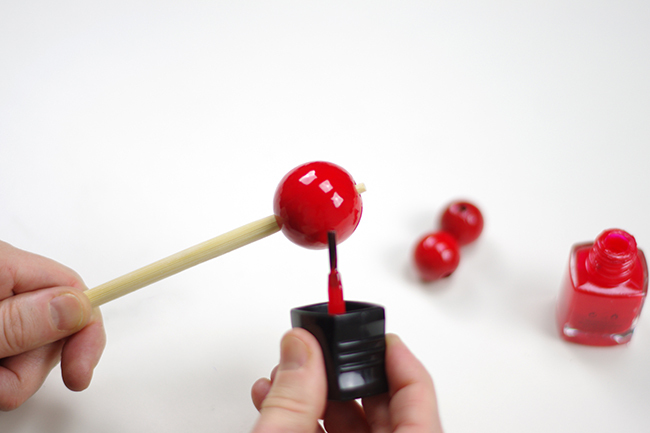 Tip: chopsticks are life savers when it comes to painting the wooden beads. 2. 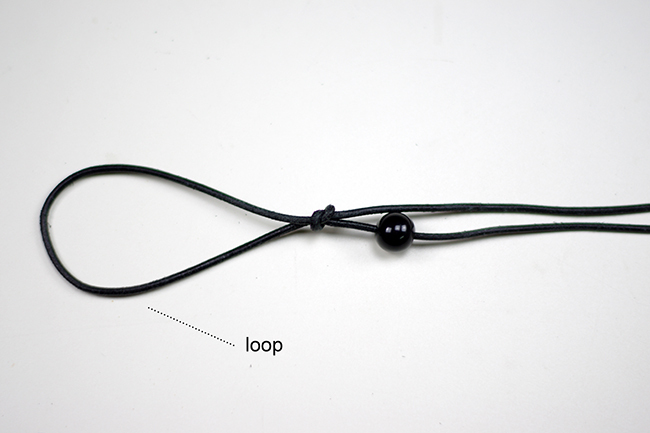 Fold the leather cord in the middle and knot one end around the other so that you get a ca. 10 cm loop. 3. 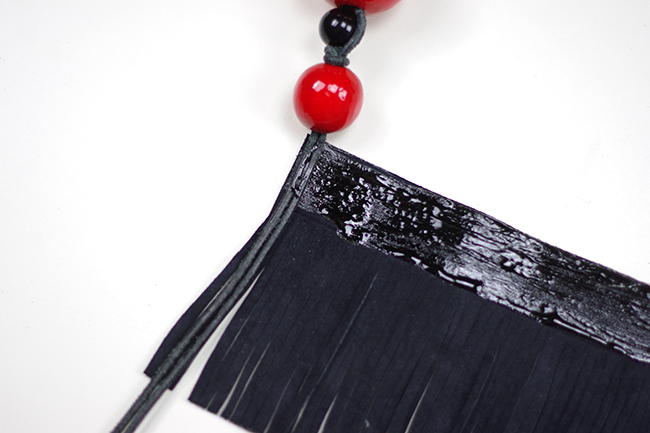 Stick the beads onto the the leather cord. How you want to arrange your beads is totally up to you. Just make sure you secure them with a knot. You don’t want them jiggling around. Totally annoying! 4. 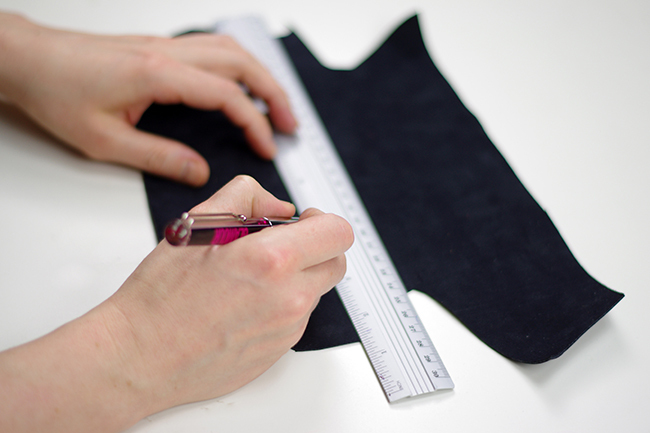 Now draw a 20 x 8 cm rectangle on the wrong side of the material you’re using and cut it out. 5. 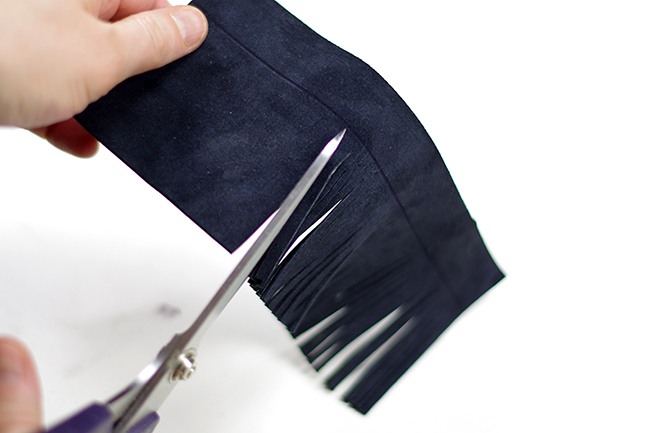 Cut very slim fringes into the leather. 6. 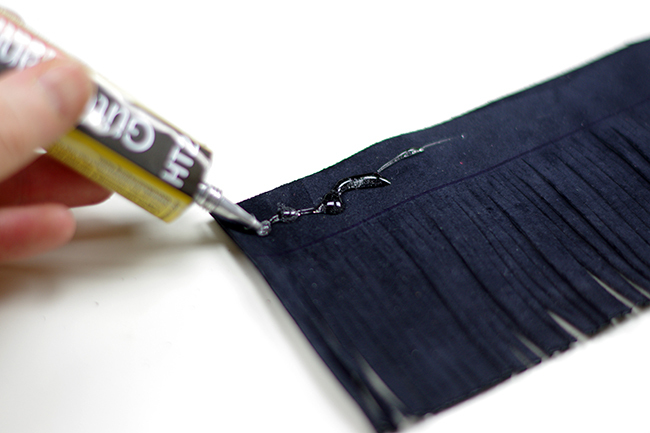 Apply glue to the “head” part of the fringe. 8. 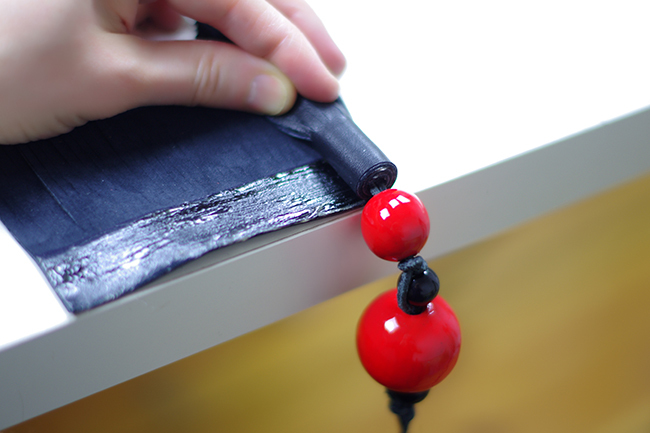 To get a perfect tassel hang the beads over the edge of a table. That way they won’t bother you while rolling. 9. Some of you have kids. And kids loooove to pull on tassels. 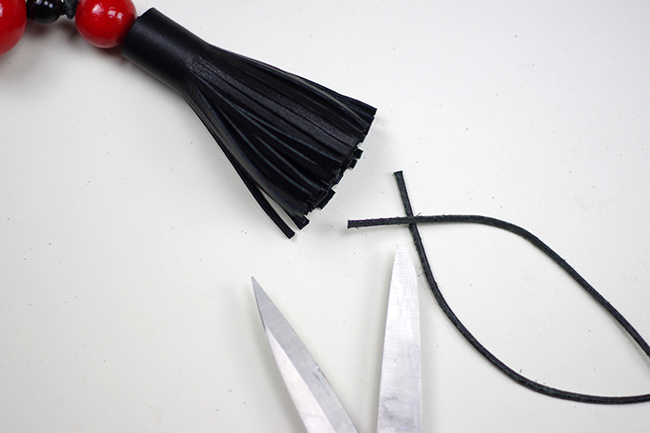 To secure the tassel, knot the two cord ends together and cut off the leftovers. Love the color, and the size of this bag. Got several compliments on this one. The size of this bag is perfect for everyday use. My bag is not leather, but looks like more expensive handbags than the cost. Of course it is the one I was looking for.